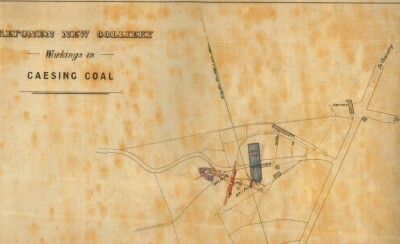 These mines were opened up after the Old Trefonen Collieries closed down due to flooding in 1880 and continued in operation until they suffered the same fate in 1891. 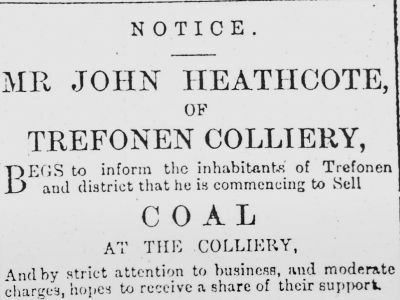 Trefonen Colliery Co. John Heathcote Manager Trefonen Oswestry. 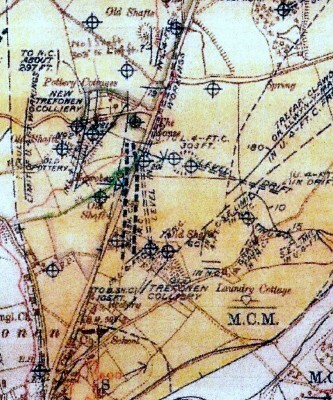 Diagram of the underground stratas below the Trefonen area and the way the mine shafts were driven through them. 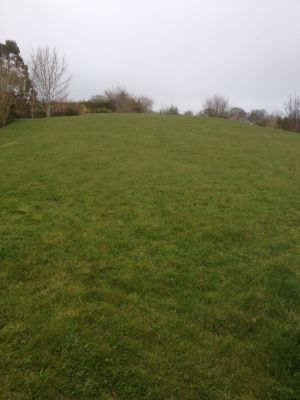 Source Memories of the Geological Survey of England & Wales. 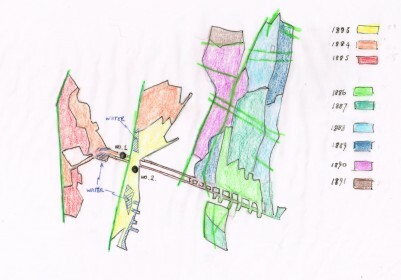 Tracing of extent of the underground workings at the New Trefonen Colliery given the different years in various colours. 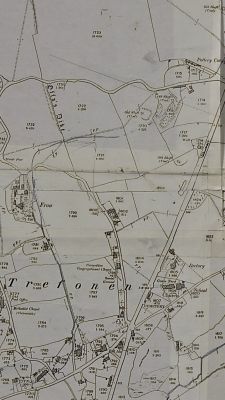 1918 geological survey map showing the various pits abound the Old and New Trefonen collieries.It is interesting that it shows underground levels between the Old Trefonen pit north to a pit on the east side of the Oswestry Road and then continuing north to a pit on the west side of the same road amongst the pits of Trefarclawdd. Article from the Oswestry Advertizer dated 10th September 1884 announcing the death of a collier, Jacob Jones, at the New Trefonen pit. 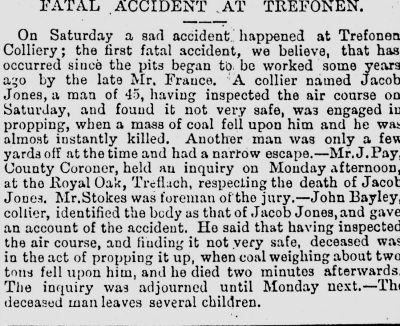 Article taken from the Oswestry Advertizer dated 17th September 1884 on the inquest into the death of a collier, Jacob Jones, at the New Trefonen Colliery on 6/9/1884. Report taken from the Oswestry Advertizer dated 11th February 1885 on the inquest of William Carsley aged 38yrs, who died while working in the New Trefonen Colliery on 16/1.1885. Undergrounds workings at the New Trfonen Colliery. Dates showing 1886. 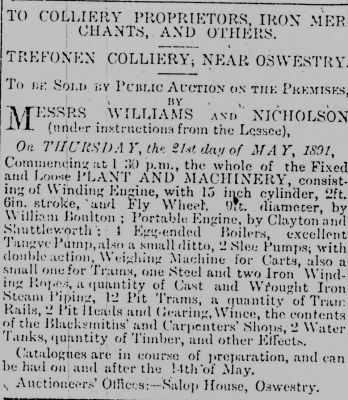 Advert in the Oswestry Advertizer in May 1891 after the closure of the mine, advertising the sale of all the equipment from the mine. Advert from the Oswestry Advertizer dated 3rd June 1891 advertising John Heathcote selling coal from the colliery to the local inhabitants. 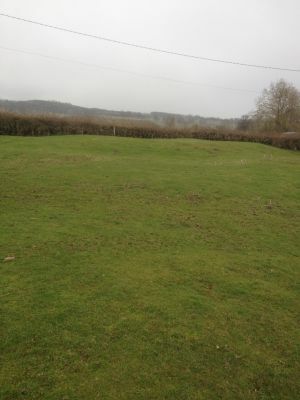 Photo of an indentation in a field which is believed to be one of the pit shafts. 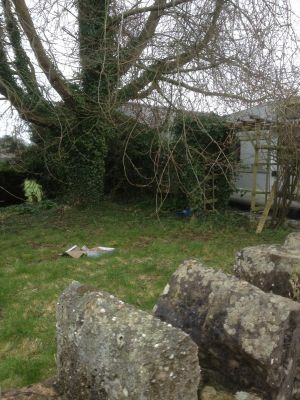 The building behind the tree is the original building which was the lamp room, where the miners collected their lamps before going down the mine.